I know the term 'emotive black metal' might turn some people off - but this is one of the most potent black metal releases I have heard all year. Ruin has the sort of deep emotional drama that can't help but to leave you with a tear. There is a manic energy to this album that can't help but to stun. The immaculate production and perfect compositions are fascinating and they encourage you to dig in deep and spin this album time and time again. This isn't just a record for fans of black metal, this is a record for fans of music. The big focus here is on these fierce and powerful minor key melodies. The strongest example is probably the albums final track, Requiem, a thrilling ode to the inherent difficulty of the human condition. Part of the magic of this release is the mix of track lengths, while most songs sit in the 7-8 minute range, some go over 10 and another is under 4. 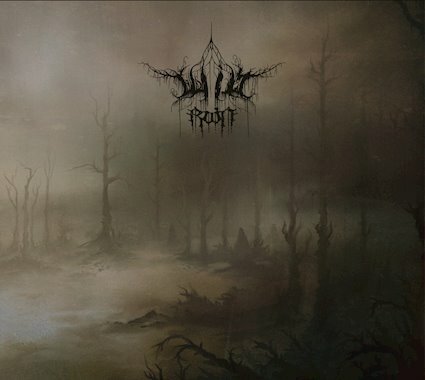 It gives the record a sense of breadth that you don't often find in modern black metal. Rather than trying to hammer you down with the same concepts over and over, but rather focus on different aspects of black metal, capitalizing on the diverse sides of the genre and crafting something magical within it. There is a sense of beautiful nihilism here that Ruin guides us through. Despite the darkness of this album the inherent poetry is thrilling. It takes us on a triumphant journey and reminds us that no matter what difficulties we might be facing, Ruin will continue to mesmerize. Black metal is a deeply powerful emotional force in my life as it probably is in yours. It gives us a reason to carry forward despite the pain. Wilt understand this and with this album they help us understand, things can get better. Even if they don't, at least we have this perfect piece of music.